If you are looking to invest in a microscope, this essential guide provides you with all the information you need to make the right purchasing decisions. Learn about key factors and application considerations for your imaging needs. Plus, read reviews from your peers to help you buy with confidence. Microscopy is used across most life science disciplines and in academic, clinical and commercial settings. Beyond life sciences, microscopy is a firmly established analysis tool in materials, formulation and information technology. Microscopy technologies and applications are diverse and progressive. This guide provides an overview of the current techniques involved in microscopy, key features and considerations. Infrared and FTIR microscopy are, however, not included in this guide, as it is focused primarily on life sciences rather than materials science or IT manufacturing. Sample type: What samples will you be using and how will you prepare them? Will you be using live cells or fixed cells, whole tissue sections or bacterial cultures? For example, cells can be harvested and then mounted on slides or viewed as a two-dimensional layer of cells across the bottom of a microplate well. Length of experiments: How often will you use the microscope and how long will each session be? This may affect sample photobleaching and, in turn, your choice of illumination. Also, does your imager allow for uninterrupted imaging at night or over the weekend, so you don’t have to always come in to capture data? For example, the IncuCyte by Essen BioScience enables longitudinal live-cell imaging so you’re always getting data even when you’re away. Sample number: How many samples are you going to be analyzing? Pathology labs may need a high-throughput machine to handle the many samples that come in for analysis every day, whereas a research group may benefit from higher specifications and a lower throughput for detailed examination of samples. Image resolution: What level of detail do you require in your imaging? Are you going to look at the overall tissue morphology on a single imaging plane? Or are you measuring intracellular localization of biomolecules along multiple Z-stacks? Are you counting cells or bacteria on a lower magnification, or are you looking at protein-protein interaction within the cells, requiring a higher resolution? Labeling: Will your samples be unlabeled or labeled? If your samples are fluorescently labeled, does your microscopy support the wavelengths? Can you look at multiple biomolecules with multiple fluorescent channels? Quantitative versus qualitative: How do you want to use your images? Are you generating high resolution images as a ‘representative’ of your cohort for display and publication only? Or do you want to use them for quantitative analysis as well? High-througphut and automation: Will your lab process multiple samples at a time, risking human error? If yes, you might need to consider whether your microscope is compatible with automation systems. When performing live cell imaging, consider an in-built or connected incubator to keep cells healthy while processing multiple samples. In its simplest form, the light microscope is composed of a clear lens that magnifies the sample and a light source to illuminate it. However, most light microscopes are much more complex with numerous fine-tuned lenses and tightly controlled dimensions, all within the body of the microscope itself and in components such as the objectives and eyepieces. See Table 1 for a summary of the main types of light microscopy instrumentation and technology. Widefield microscopy vs. confocal microscopy: In widefield microscopy, the light source illuminates the whole sample at once, providing a ‘big picture’ of the sample, while confocal microscopy focuses on the region of interest by restricting any unfocused light, and increases the resolution of the image. Upright vs. inverted microscope? More inverted microscopes are being developed and made available in the marketplace as applications become more advanced. Uprights are still the best choice for some applications, such as analyzing zebrafish embryos or stained tissue sections, but for most existing and emerging cellular imaging applications, the inverted microscope is favored. For whole specimen observation, for example, during dissections, stereo microscopes, typically widefield, can be used. They provide the lowest magnifications to yield an overall image of the sample. Such stereo microscopes tend to use light reflected by the sample instead of transmitted through it. A good example of a stereo microscope is the Leica EZ4 HD. For higher magnification and analysis of slide-mounted specimens, a standard widefield microscope such as the Olympus SZX16 stereomicroscope is cost-efficient for more detailed sample information. Most widefield microscopes have brightfield as well as darkfield and phase contrast viewing, which offers different contrasts and views of your images. Unlabeled cells generally provide limited contrast from the background, so good illumination is important. Halogen illumination has been the gold standard for light microscopy, however, LED lights sources are becoming increasingly common and offer the advantage of no sample heating, low energy consumption and long lifetime with the caveat of altered colors of a stained sample. This application note outlines how to overcome the caveat with Olympus’ True Color LED. Modern imagers are programmed to offer better contrast to yield more accurate cell counts. Inquire about the software’s ability to produce crisp intensity profiles to yield better counts. For example, this application note describes a protocol for counting unlabeled cells using high-contrast brightfield imaging. Table 1. Summary of the main light microscopy instrumentation and technology. Advanced confocal imaging: These are application-specific variants of confocal microscopy. For example, FRET and FRAP. Confocal microscopy offers the ability to control depth of field, elimination or reduction of background information, and the capability to collect sections from specimens that are thicker. The signal-to-noise ratio is significantly improved over widefield microscopy, and it can be used with both live and fixed specimens, making it possible to produce 3D images of cellular structures. This application note by Olympus discusses the signal-to-noise ratio and superresolution offered by confocal imaging. Dr. Kim Dora, University of Oxford, uses confocal imaging in vascular research. Watch video here. 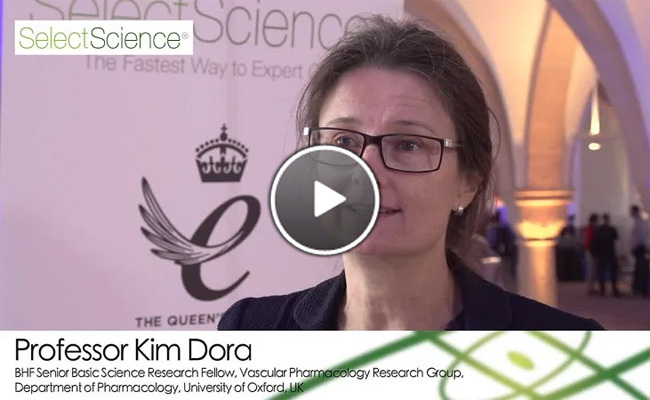 In this video, learn how Dr. Kim Dora, University of Oxford, uses confocal imaging in her vascular research to analyze blood vessels and myocardiocytes. A confocal laser scanning microscope scans a sample sequentially, point by point, or multiple points at once. The pixel information is assembled into an image. This follows on from confocal microscopy to enable the user to acquire sophisticated 3D images of their sample, or individual structures within their sample. At any one focal position, a confocal laser scanning microscope can acquire multiple images over a selection of different depths and then combine these to make a 3D composite image, a technique called optical sectioning. Read this SelectScience editorial article to learn how advanced confocal imaging in Dr. Ben Prosser’s lab, University of Pennsylvania, revealed a key role of the cytoskeleton in the pathology of heart disease. The LSM 880 with Airyscan from ZEISS enables fast, sensitive, superresolution confocal imaging of live or fixed samples, to enable imaging of the smallest structures, the weakest signals or tracking of fast processes. The Airyscan module allows more photons to be captured by imaging on to a specially shaped array of 32 optimally arranged single detector elements, from which the signals are reassembled, creating an overall image with increased signal-to-noise ratio and resolution. 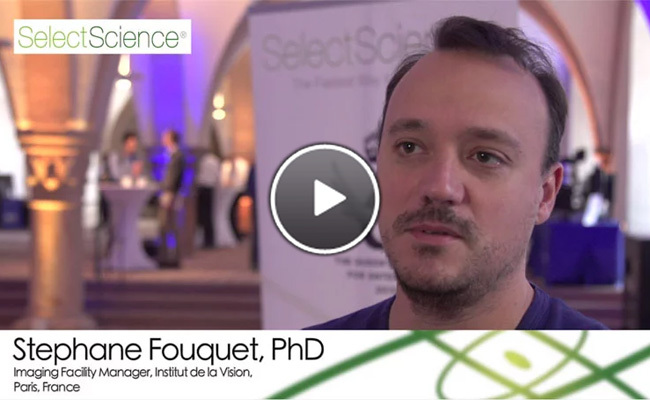 In this video, Dr. Stephane Fouquet, Imaging Facility Manager at the Institut de la Vision, Paris, describes how his team utilizes confocal laser scanning microscopy for brain and retinal research. Other excellent examples of LSCM units are the Leica TCS SP8, the Nikon A1R MP+ Multiphoton Confocal Microscope and the new Olympus FV3000 LSCM. Fluorescence microscopes take cell imaging one step further than brightfield or phase-contrast. With the use of fluorophores – applied topically, expressed genetically or by immunofluorescence – fluorescence microscopy helps capture the localization of target molecules involved in cell signaling, apoptosis, cell viability or other cell biology pathways. Modern cell imagers enable users to toggle between brightfield, phase-contrast and fluorescence imaging. With multiple fluorescence channels for image overlay, you can perform multi-labeling and co-localization when studying cells either in vitro or fixed on a slide. It can also be employed for everyday cell culture activities like measuring cell confluency or ensuring transfection efficiency.. 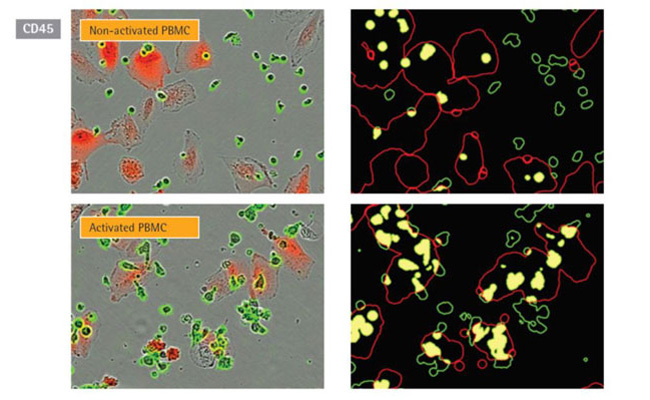 This downloadable poster by Essen BioScience details real-time image-based quantification of phagocytosis in living cells using the IncuCyte by employing pH-sensitive bioparticles that fluoresce in an acidic environment. In this application note, learn how the InCellis can automatically calculate cell culture confluency. In a recent SelectScience editorial interview, Dr. Bruce Morgan, University of Kaiserslautern, Germany, explains how he uses genetically-encoded fluorescent sensors to study reactive oxygen species using the CLARIOstar Multimode Microplate Reader. Fluorescent labels and dyes: The use of fluorescence in microscopy enables more specific analysis of a specimen. Cells and tissues can be stained or labeled with one or more dyes, to allow complex visualization of structures, such as nuclei or proteins. For example, DRAQ5™ is a selective nuclear stain, while DRAQ7™ selectively stains dead, dying and apoptotic cells. GFP (green fluorescent protein) or firefly luciferase can be expressed within cells and fused to a protein of interest, giving ready labeled specimens for imaging. Likewise, immunofluorescence uses fluorescently labeled antibodies to target structures of interest. Fluorescent labels vary in signal strength and in the amount of background fluorescence. If a sample is to be viewed for a long time, e.g. for live imaging and tracking of cellular events, photobleaching of the fluorophore needs to be addressed; this may affect your label choice. Consider your application, too –¬¬ for live cell assays, fluorescent probes need to be cell membrane permeable to assess structure and function within the cell. Multiple labels can be used to label the same sample, often co-localizing on the same part of the sample. You need to make sure you select a microscope that enables you to visualize your palette of labels. You need to consider how many labels you are going to want to use and make sure the microscope can accommodate any current dyes you are using and any you plan to make use of in the future. In a SelectScience editorial article, Anne Marie Quinn, founder of Montana Molecular, shares how it’s possible to measure multiple signaling pathways inside a living cell using fluorescent biosensors. (Figure 1). Figure 1: Fluorescent probes and dyes aid imaging in GPCR cell signaling (read article here). Fluorescence combined with confocal microscopy: In confocal systems, the trade-off from improved image resolution by restricting the light detection is a reduction in sample brightness. Therefore, with confocal microscopy, one or more fluorescent labels are typically employed to highlight structures of interest and improve contrast within a specimen. Even greater contrast and differentiation can be achieved when multiple fluorescent labels are used for different structures. Active Illumination (AL) solutions can be used alongside particular microscopy techniques, such as fluorescence microscopy. Spinning disk and swept field confocal (SFC) systems are ideal for the imaging of high-speed intracellular events such as calcium ion dynamics. Total internal reflection fluorescence microscopy (TIRFM)TIRFM is a highly sensitive technique that enables you to perform functional investigations in living cells using fluorescence. It only images structures within a very thin layer as it uses total internal reflection to illuminate cells contacting a surface and only produces a very narrow excitation depth. Because the illumination is so focused, TIRFM enables very high resolution 2D images, down to less than 200 nm. This is not a high-throughput technique but one for analyzing very specific, small cellular events at the surface. TIRFM is the method of choice to visualize single molecules in living cells, in particular fluorescent molecules located at cell adhesion sites, cell membranes and membrane proximal cytoplasmic organelles. TIRF microscopy systems are now commercially available from many microscope suppliers, including ZEISS, Leica and Olympus. In conventional cell culture experiments, protocols involve taking measurements on a microscope at specific time points. This method doesn’t offer the full picture of cell behavior that is otherwise dynamic and changing. Adding in a ‘live’ element to your microscopy can substantially elevate the data you obtain from your experiments and provide you with cell insights that are not seen through conventional methods. Live cell imaging approach, coupled with fluorescence or confocal microscopy, can produce images, videos and data that could otherwise go unnoticed in conventional approaches. Microscopy with live cell imaging is now getting a lot of traction in many life sciences applications, including wound healing, cell-cell communication, signaling studies, 3D cell cultures, developmental and vascular biology, among others. The IncuCyte S3® Live-Cell Analysis System by Essen BioScience automatically acquires and analyzes images around the clock – without ever removing your cells from the incubator. Its walkaway feature helps you capture physiologically relevant processes as you spend your valuable time performing other experiments. Without displacing cells or moving cell culture plates, you can collect images throughout the course of your experiment, thereby offering you a ‘snapshot’ into true physiological behavior. Plus, the image analysis software helps you analyze kinetics, bringing additional insights into your captured images. The IncuCyte has garnered over 90 reviews from scientists around the world on SelectScience, and recently received a SelectScience Silver Seal of Quality as a result of the consistently positive feedback. 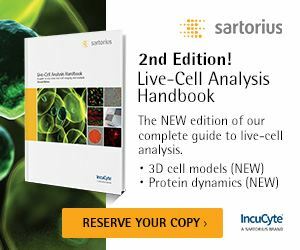 Below, we highlight case studies using the IncuCyte where scientists have used live-cell imaging in diverse range of applications, expanding the quantity of data obtained from experiments and leveraging the benefits of capturing cells ‘live’ in action. Dr. Adam Case, Assistant Professor, University of Nebraska Medical Center, studies the immune system and monitors behaviors of immune cells in real time using live-cell imaging. To examine the immune system, Case makes a unique choice of studying cardiovascular and psychiatric diseases. The Case lab hypothesizes that in a state of ‘stress’ during a psychiatric illness, the brain triggers the immune system, which, in turn, modulates cardiovascular responses. His lab isolates T cells from a mouse model of post-traumatic stress disorder, and measures immune responses using live-cell imaging. “A lot of the tests measuring the immune system function involve culturing immune cells and measuring the cells’ ability to, say, fight an infection or even proliferate and expand,” says Case. 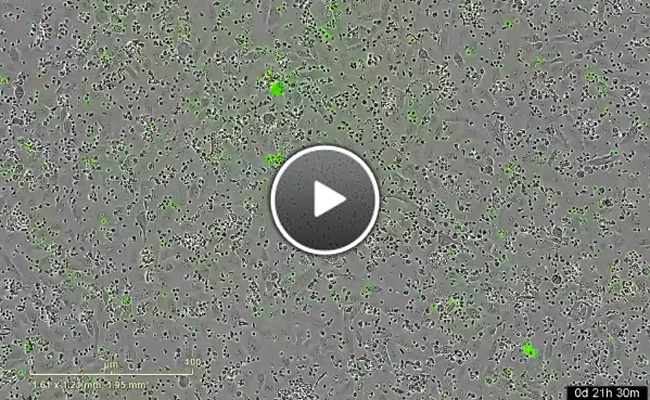 The video below (Figure 2) captured using the IncuCyte shows mouse T cells (appearing as small black circles) killing pathogenic species, in this case, human cancer cells (appearing ovoid) in real time. The bright green fluorescent marker indicates cell death. Figure 2: Live-cell capture of T cells killing tumor cells. Video courtesy of Dr. Adam Case. Read the full article here. Immunocytochemistry (ICC) forms a significant part of microscopy, capturing protein expression. However, a big caveat with traditional ICC is that it’s unable to capture protein expression changes over time. Live-cell ICC, however, offers a way to capture cellular dynamics of live cells, while still keeping the benefits of traditional ICC. Tim Dale, Director of Biology, Europe, Essen BioScience, explains how live-cell ICC works in a SelectScience interview. “Live-cell ICC allows surface expression dynamics to be monitored. More importantly, these protein expression changes can be coupled to morphology and function by using this alongside many of IncuCyte’s functional applications,” says Tim (example shown below in Figure 3). Read the whole article here. Figure 3. 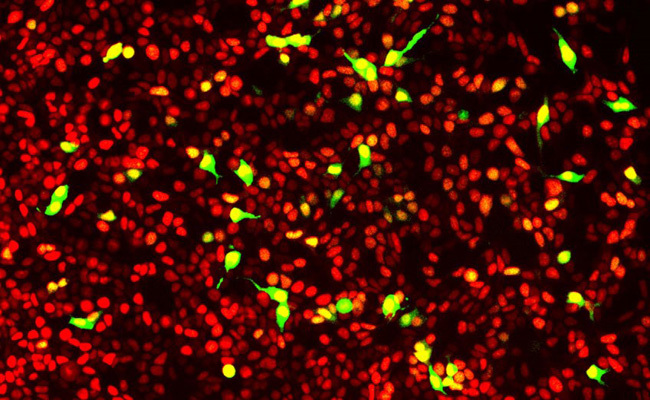 A co-culture of tumor cells (red) and immune cells (green) monitored on the IncuCyte. Expanded image masks measured the signal overlay i.e. the interaction between the two cell types. Add another dimension to cell culture microscopy by using live-cell analysis to identify and quantify cell subsets in heterogeneous cell populations. 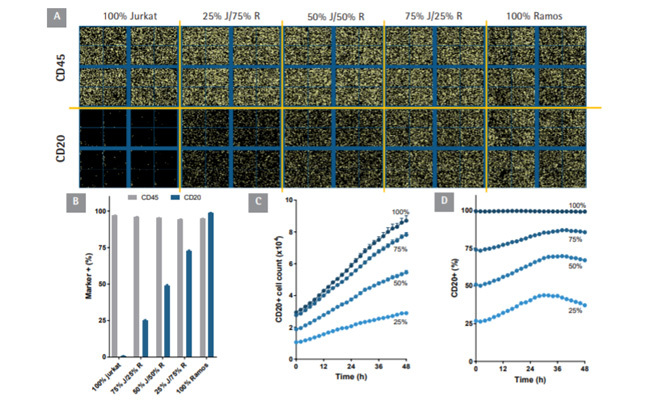 This method illustrates how you can use live-cell imaging to identify and quantify subsets using mixed cultures of Jurkat and Ramos B cells in cell culture media. Specific antibodies to the leucocyte common antigen, CD45 and the B-lymphocyte specific antigen, CD20, were labeled with FabFluor-488. The data in Figure 4 below demonstrates the identification of Jurkat- and Ramos-positive cells in the mixed culture. Get the entire method here. Figure 4. Using live-cell imaging to identify and quantify cell subsets in a heterogeneous culture. Here, a co-culture of Jurkat and Ramos B cells were labeled and monitored on the IncuCyte. Read the entire method here. Due to the visual element of live-cell imaging, as compared to flow cytometry, you can perform subset classification based on morphology, in addition to using antibodies/cell markers. For example, in the same method, the research team at Essen BioScience has demonstrated cell-by-cell analysis of activation states of T cells using morphological changes and enlargement. 3D cell models help recapitulate the tumor microenvironment. Live-cell analysis can be used to study diverse 3D tumor models – single spheroid assays, co-cultures as well as multi-spheroid assays. In this on-demand webinar, get protocols to quantify tumor growth, morphology and viability using label-free or fluorescent cell health markers. 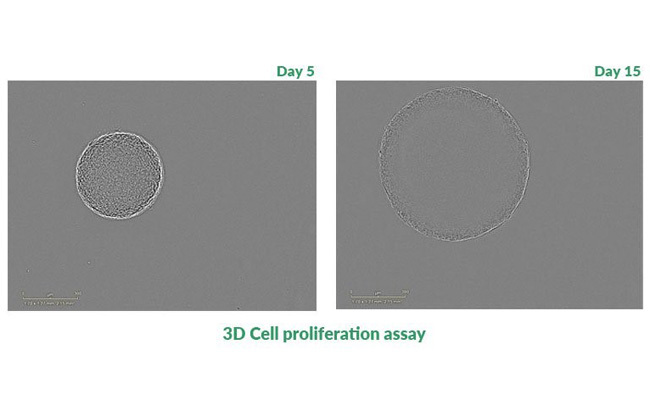 Learn how you can automatically acquire and analyze images of spheroids over time using brightfield imaging and the ‘spheroid module’ on your live-cell imagers. Dr. Sammy Ferri-Borgogno, postdoctoral researcher in the Gupta lab, explains how live cell imaging enables her to learn more about pancreatic cancer cells both two- and three-dimensionally, while saving time and money. “We can track the spheroids over a period of time, to see how they grow, to check if they are shrinking,” says Ferri-Borgogno. “This live imaging is good because it helps us understand our cells three-dimensionally, and to confirm if the model we use is reliable.” Read the full interview here. Figure 5. Read this article to learn how Dr. Sonal Gupta and Dr. Sammy Ferri-Borgogno of the MD Anderson Institute, Texas, USA, use the live-cell imaging for their 2D and 3D cell culture research on epigenetics of pancreatic cancer. In live cell imaging, the primary experimental considerations are (i) signal-to-noise ratio, (ii) image acquisition rate, and (iii) sample viability. To capture cellular processes live, it’s important to ascertain that your cells have the right environmental conditions, such as temperature and CO2/O2, so they remain viable throughout the entire time period of imaging. In setting up your live imaging protocol, care should be taken to space out the imaging to avoid long periods of light exposure which can be phototoxic to cells. For live cell imaging applications, a low power illumination is desirable. Other live cell imaging systems include the BioTek Cytation™ 5, the CellASIC® ONIX2 Microfluidic system from MilliporeSigma, and the UltraVIEW® VoX 3D Live Cell Imaging System by PerkinElmer. Learn more on the SelectScience product directory. Electron microscopes use a beam of accelerated electrons to image a sample and offer high magnifications and resolution to reveal the intricacies of cellular organelles. Transmission electron microscopy (TEM) Passes energetic electrons through the sample. Electron beam passes through thin slice of specimen. Resolution limit approximately 0.05 nanometers. Able to distinguish surface features, shape, size and structure. Scanning electron microscopy (SEM) Investigates the surface of bulk objects by scanning the surface with a fine electron beam. A 3D view is obtained giving surface detail of specimens. Resolution limit is approximately 0.4 nanometers. The preparation of samples can result in the production of artifacts. Reflection electron microscopy (REM) A combination of imaging, diffraction, and spectroscopy techniques. Applicable to metal, semiconductor, and ceramic surfaces. Scanning probe microscopy (SPM) Scans several images of interactions simultaneously using various probes. The resolution varies depending upon the probe and technique used. Some high-resolution techniques have resolution to a precise atomic level. High resolution type of SPM. Resolution is in the nanometer range. Ideal for imaging, measuring and manipulation at the nanoscale. Scanning tunneling microscopy (STM) Images surfaces at the atomic scale. Can be used in ultra-high vacuum, air, water, and other liquid or gas ambient states. Ultrasonic force microscopy (UFM) Gives detail and image contrast of flat areas of interest. Photonic force microscopy (PFM) High-precision technique measuring scattered light and orientation of a particle. Transmission electron microscopy (TEM) produces high-quality and detailed images by passing electrons though a thin section of sample. For instance, it can be used to view the details of mitochondria in cells. TEM can also provide information on element and compound structure. Electron microscopes can be coupled with standard imaging equipment such as CCD and EMCCD. Software correction of spherical aberration in TEM has enabled the production of images with sufficient resolution to show carbon atoms in diamond separated by only 0.089 nm, and atoms in silicon at 0.078 nm at magnifications of 50 million times. The ability to determine the positions of atoms within materials has made the TEM an indispensable tool for nanotechnology research and development in many fields, including heterogeneous catalysis and the development of semiconductor devices for electronics and photonics. Within life sciences, it is still mainly the specimen preparation that limits the resolution of what we can see in the electron microscope, rather than the microscope itself. Sample preparation can be quite time-consuming, with risks of introducing artifacts. CryoSEM avoids complex preparation and can be useful when studying samples containing water/moisture, such as botanicals and foodstuffs. However, it has limitations such as sample shrinkage. Consider the different brands, as each one has a different mechanism, varying accessories, add-ons and optics. Also consider the microscope’s capability to be automatically controlled using built-in software, rather than by manual control of functionality such as zooming, which often requires a specialist. The Titan™ - Transmission Electron Microscope by FEI is a good example of a versatile scanning/transmission electron microscope (S/TEM). SEM produces 3D images that give information on morphological and topographical details and basic surface characterization, such as surface study of plant pollen, stem and root systems. A focused ion beam system (FIB) is a tool that has a high degree of accuracy and can be used to reveal artifacts below the surface in materials and devices. DualBeam (FIB/SEM) systems are the preferred solution for 3D microscopy. Nikon’s JCM-6000 Neoscope™ Scanning Electron Microscope is an affordable benchtop SEM, ideal for advanced and versatile imaging. The non-destructive nature of X-ray microscopy (XRM) allows for multi-length scale or multi-modal imaging of the same sample for vital analysis of hierarchical structures. 3D imaging can be achieved through high-contrast and submicron resolution imaging, even for relatively large samples. The capability of excited X-ray fluorescence can be integrated into an existing SEM system such as in the ZEISS EVO 18 SEM. AFM is a method of scanning that can see details at the fraction of a nanometer level. Using a combination of AFM and synchrotron radiation microscopy, scientists in Italy have been able to map vital elements in a single cancer cell. This multimodal approach provides molar concentration, cell density, mass and volume of carbon, nitrogen, oxygen, sodium and magnesium. The capabilities of an electron microscope are dependent upon the detectors it accommodates. Most electron microscopes can house a variety of detectors. For instance, SEM detectors are designed to detect secondary electrons that are emitted from the sample surface as a result of excitation from the primary beam. If you want a multi-purpose electron microscope, ensure the detector is suitable for multiple applications or easily changeable as required. How does the microscope’s electron optical performance operate at low voltages? Some electron microscopes have a high resolution at as little as 1 kV. However, high resolution at low voltages may not be important. Surface sensitive imaging with high material contrast is better guaranteed with lower voltages of acceleration. The lower voltage prevents beam penetration into the sample. Often, a company engineer will make a site visit to assess a room’s suitability. Solar cells were studied using focused ion beam – scanning electron microscopy (FIB-SEM). Read more about how finer details of the electrodes were obtained using this method. Recently, there has been a drive to combine the best parts of light and electron microscopy; to obtain details on a broad, molecular level and combine them with the intricate, intracellular details to examine the entire scope of the underlying biology. Such a combination has become known as correlative microscopy. Combining AFM and Raman Imaging, the alpha300 RA from WITEC enables the acquisition of Raman images from chemical investigations to be linked to the AFM topographic information from the same sample area. The ZEISS ZEN Correlative Array Tomography can automatically image hundreds of sections across length scales and can combine them into one single correlative volume data set for light and electron microscopy. This application note outlines how to it can connect your light and electron microscopes to reconstruct your sample in 3D. 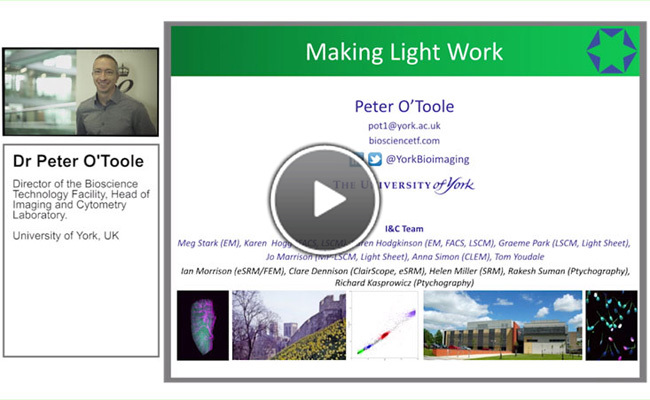 Watch this presentation to hear Dr. Peter O’Toole, Director of the Bioscience Technology Facility, Head of the Imaging and Cytometry Laboratory at the University of York, explore the benefits of microscopy for biologists. Dr. O’Toole discusses innovations in and applications of superresolution microscopy, 3D imaging and correlative microscopy. 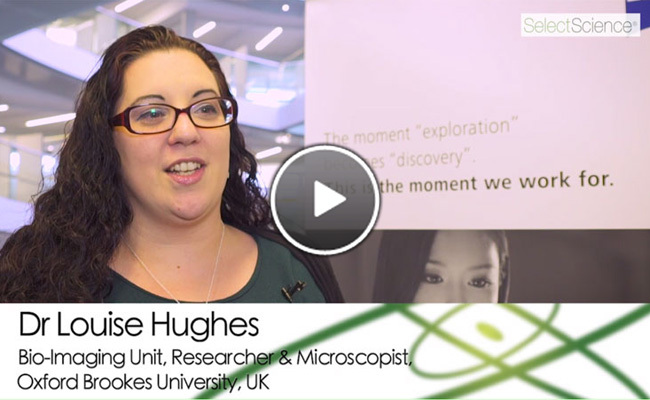 Also, in another SelectScience interview, Dr. Louise Hughes, researcher and microscopist at Oxford Brookes University, explains how she uses correlative microscopy to study plant parasites, viruses and general cell ultrastructure. “It’s important for us to get to the point where you take one sample all the way through – from live imaging looking at the fluorescent markers through to the EM level looking at three dimensions with electron microscopy,” she says. Learn more in this video. Correlative microscopy helps Dr. Louise Hughes obtain a fuller picture of the science – from live cell dynamics to cellular ultrastructure. Watch the video here. Sample prep for correlative microscopy may need a different approach. To learn the details on sample prep for successful imaging, download this comprehensive protocol compendium. Dr. Richard Johnston of Swansea University Material Research Center speaks with SelectScience about the importance of collative microscopy to bridge the gap between scientific disciplines. 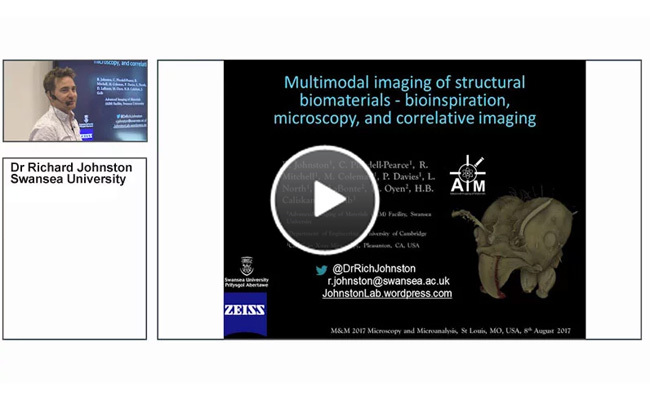 Watch his lecture on the multimodal imaging of structural biomaterials. Dr. Richard Johnston, Swansea University, presents his work on the multimodal imaging of structural biomaterials, focusing on bioinspiration, microscopy and correlative imaging. Plus, this white paper illustrates a methodology involving the ‘shuttle & find’ interface of correlative light and electron microscopy to enable fast and reliable analysis of the bacterial infection of legume root nodule cells. Microscope cameras: Digital image capture and analysis has now largely overtaken earlier imaging methods. Digital cameras and imagers enable the user to take images or videos of the substance or structure being analyzed direct from the microscope. Cameras for microscopy, namely CCD and EMCCD and CMOS, are available. There is a wide range of such cameras available and further details can be found in the SelectScience Microscopy Camera section, with independent user reviews to help you compare and select the best camera for your needs. Quantitative versus quantitative: For digital microscopy, it is important to consider what data you want to get from your sample. Whether you require only qualitative images for display or more detailed images for quantitation will determine the imaging and software specifications that you need. Digital microscopy and sophisticated imaging software are available that enable image stitching and 3D image stacking, which can be used to make montages and composite images. Software: Microscope analysis software is available from many manufacturers and again will vary depending on the application. Check that any software you obtain is compatible with the instrument(s) you are using. You can find a great deal of information about software products in the SelectScience Microscopy Software directory, again featuring independent reviews to guide you. Image size and storage: Consider where you will be publishing your images, if at all. Will they be used in high-quality publications or posters? If not, does your laboratory actually require the large file size and image detail of some high-performance cameras? The number of megapixels on a camera generally equates to how big you can enlarge the image without losing quality. Note: Cost is an important consideration. Although we haven’t covered costs in this eBook, we advise negotiating on cost, asking about extra features/equipment/software or after-sales service/training. We also recommend approaching more than one manufacturer for quotes. There are many different types of microscopy instruments on the market. Finding the correct one for your application may seem daunting but by applying a few simple considerations, selecting the right microscopy tool for your research can be made an easier task.